Prepare yourselves for a mind-melt! well, we'll get there, don't worry. In terms of comics, however, this is the big one. The second I banged the book open I thought of AKIRA and there's some serious structural damage going on here too, but the cause is dramatically different. As the story opens Chikara Nagai's spectacularly successful manga series, 'Resonance', is reaching its dramatic, nay shocking conclusion. Psychics Satoko and Lin are confronting The Masque, a mesmerising religious cult leader of The Nameless Faith. The Masque does indeed go down but takes Lin with him in a blast of pyschokinetic energy that bursts right through Lin's chest and out of his back. 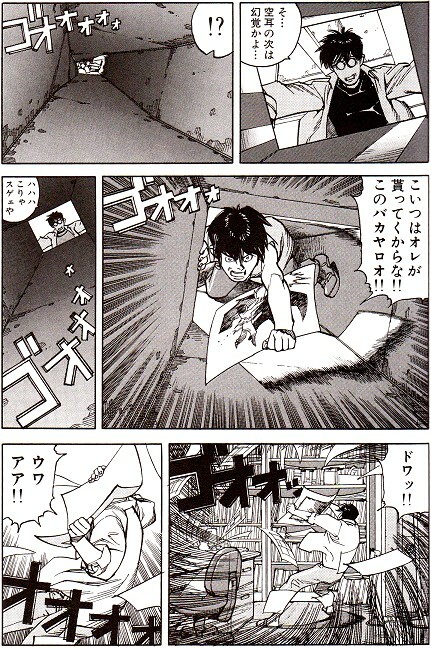 Even its publishers never saw the ending coming, largely because Chikara changed it at the last minute. He's just shown his editor the rough, pencilled pages. I thought this would make for a big finish." I just hate to see him go out like that." Those words are going to come back to bite you. In spite of the deadline pressure Chikara relishes inking the final-page shocker but it does leave him frazzled. There's a bang and a quake and now a new piece of artists' bristol board materialises on his desk depicts a narrow shaft leading down with Lin crawling angrily up. Several seconds later the comicbook artist finds himself tumbling down this Lewis Carroll-ian rabbit hole and trapped in the very fictional world he created himself but hasn't quite finished. 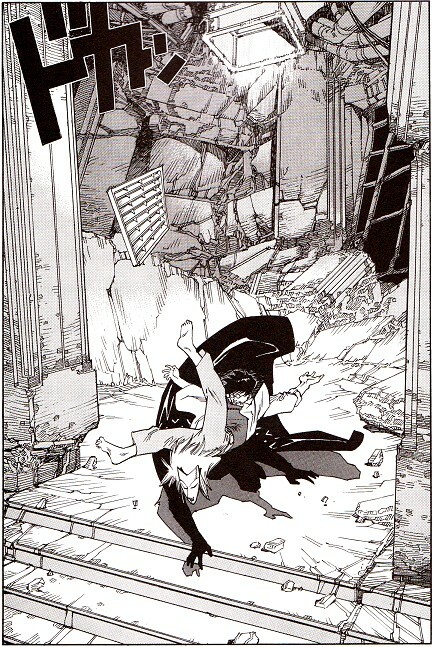 The Masque is still very much alive and bent on his destruction; Lin - determined to avoid his final, brutal fate - has swiped the book's final-page splash and is bent on changing the future by destroying his fictional past; Satoko with her own childhood trauma is reluctant to go where no woman has gone before; and Lin's young, blind, second-sight sister Mei registers what they are all reluctant to accept. "The truth is that this world is fiction." That, I can assure you, is only the tip of this metafictional iceberg destined to destroy everyone's lives and "lives". Cracks begin to appear between reality and fiction and within the very volumes of the fiction itself as Lin tears through the pages of the last book to crawl himself into the earlier ones and stop the serial killer who will later become The Masque before The Masque kills the copper who will be reincarnated as Lin. Look, I told you this would melt your mind. I haven't even touched on the logic that if a creator can become trapped in his own comicbook fiction then it stands to reason that fictional characters can break out into reality. 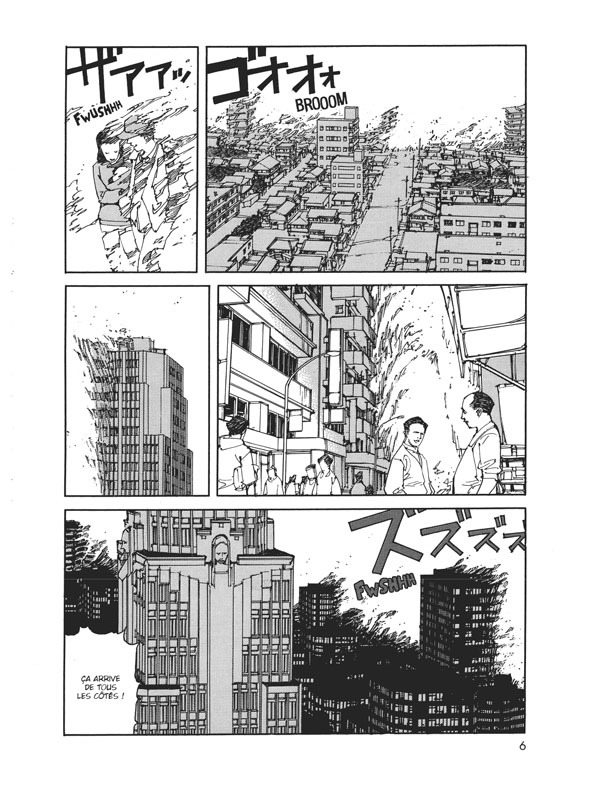 A reality which is a fiction, by the way, because this graphic novel was created by Satoshi Kon not Chikara Nagai. You just wait until the final chapter. 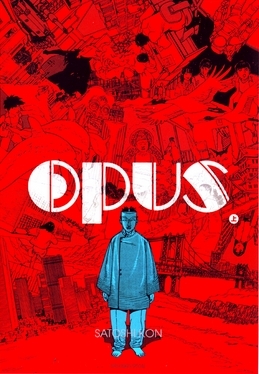 Satoshi's animation career took off so spectacularly that OPUS itself never got finished. Oh, the ironies! The final chapter here was found in Satoshi's personal files after his passing and is printed in pencils with the script inked-in with the permission of Satoshi's family. This is a 350-page monster with incredible depth and I had so much more to report. Pages of notes! Like when Satoko is spotted in our world by a manga fan and assumed to be a cosplayer. When Satoko spies the artist's girlfriend and realises who she'd modelled on. And when the artist improvises in his own fictional world by grabbing a moped to escape pursuit because his studio artist has put in all the hard work. "Background details! You gotta love 'em..."